Hobart Brewing Company - Situated at Macquarie Point. 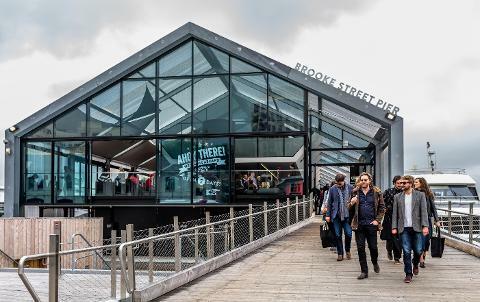 The brewery is on full view from the taproom in the Red Shed where you will find year round core beers as well as a range of seasonal brews and beers brewed in collaboration with other breweries. When it comes to Tasmanian beer, it’s easy to see why the world is taking note of the region’s stunning achievements over the course of the 20th century and beyond. Brewing fantastic beer and ales seems to be in Tasmanians’ blood. The crystal water paired with local farming means that all the ingredients are at their fingertips, and can produce almost all their beers and ales without having to source outside of the region’s borders--a pretty proud claim to fame. From craft distilleries to industrial operations that have been around for over a century, Tasmania has a rich and vibrant scene when it comes to the world's most loved beverage. 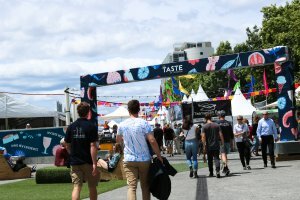 The Taste of Tasmania Food and Beverage Festival offers a chance for locals to showcase the finest cuisine and beverages the region has to offer. The annual festival normally starts at the end of December and goes on to the beginning of January, for one week of fun and festivities in the capital Hobart, normally attracting over 250,000 people. Image thanks to Julia Smith. 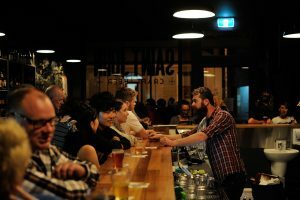 Many are surprised to learn that Tasmania is home to some of the world’s best, tastiest beer - so much so that some brands have won prestigious awards during the aforementioned festival. Top lager was won by Moo Brew with a classic Bavarian wheat beer called Hefeweizen. The beer has been described as naturally cloudy with a bright yellow body and large foamy head and is rich in flavour and reminiscent of Champagne. This beer is best paired with washed rind cheeses, or South American, South and East Indian cuisines. Image thanks to Tourism Australia & Ellenor Argyropoulos. Top ale was won by Seven Sheds St. Ella IPA (SIPA) and has been described as being as close to an English IPA of yore as it gets--a far cry from the stereotypical, modern IPAs. And the top dark ale prize was scooped by Iron House Porter, an English-style dark ale. An Australian yeast blended with English and German malts lends this beer rich notes of chocolate and caramel. Considering Tasmania has more than 20 breweries, it can really be considered a connoisseurs’ paradise. Each distillery has their own unique take on the brewing process and hidden ingredients make every beer special in flavour. 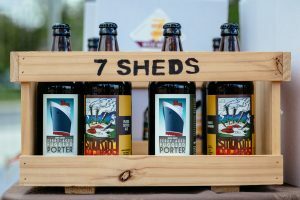 Seven Sheds brewery is located in the north of the island, and its creators and beer enthusiasts Willie Simpson and Catherine Stark know their trade when it comes to brewing high-quality Kentish ale and seasonal beers. Willie Simpson is a man of many talents, being his very own mead maker, as well as a pioneer in the Australian beer scene and author of the 2006 beer bible. The couple focus on fresh local produce to brew the finest ale and beer possible in their native home of Tasmania. Image thanks to Tourism Tasmania & Nick Osborne. 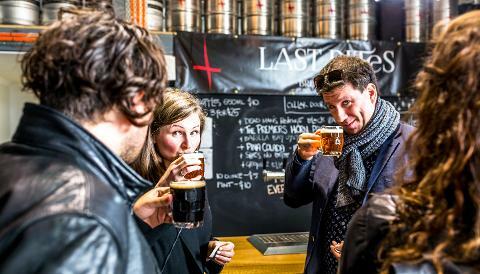 The beer scene in Tasmania is thriving as of late of with a mix of beer festivals and events; if you're a fan of the famous brew then look forward to a year round extravaganza. Esk Beerfest & Hobart Beerfest normally take place around November, and not only features an excellent lineup of Tasmanian beers, but live music and street performances to enchant the masses as well. TasTAFE’s Microbrew Festival is a student-run annual event located in downtown Hobart. 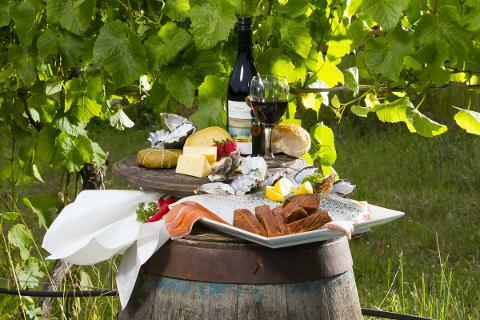 It hosts Tasmania's finest craft and microbrewery products, as well as ciders. Each year's profits are then filtered back to the next year's students to help set up and establish the coming year’s festival. 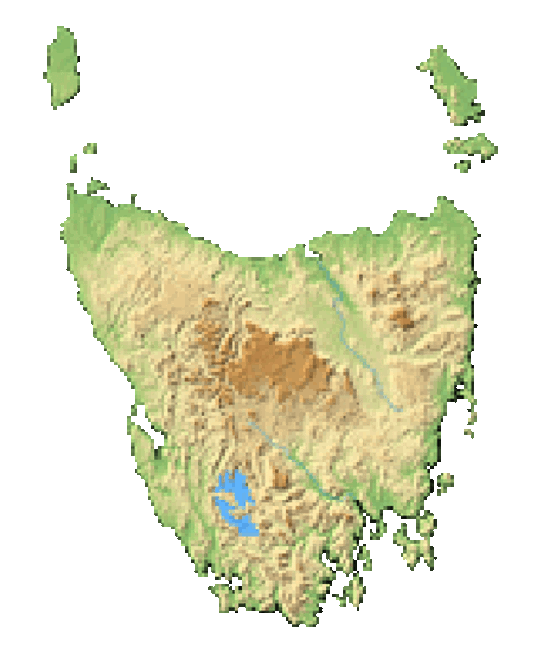 Five Smaller but still substantial breweries were set up between 1820 and 1830 in Hobart. They produced a Yorkshire strong ale named Tasman’s Stingo but unfortunately all of this was short lived when the master brewer James Whyte died after a small cut became infected and spread throughout his body. At the time, medicine and doctors were in sort supply and he could not be saved. By 1850, there were over 40 breweries based in Hobart alone. Smaller breweries began popping up in places all over the island like New Norfolk, Swansea and Oatlands. Today, Tasmania is home to two power houses in the Australian beer industry--Cascade and Boag's. Cascade Brewery is one of the largest on Tasmania, with a long, storied history. It’s located at the base of Mt. Wellington and famed for its sandstone building used as its headquarters. Established in 1832, it has its claim to the oldest brewery in Australia’s crown. The two brains behind it all were men by the names of Hugh Macintosh and his brother-in-law Peter Degraves. Prior to the factory being set up, Degraves was actually imprisoned for unpaid debts to the country. In 1831, Hugh Macintosh, alongside his two nephews, began construction the the distillery that still stands today. Image thanks to Tourism Tasmania & Kathryn Leahy. The brewery grounds are now also home to the 3-acre heritage garden, a cafe and bar, as well as private function rooms. Not long after opening, Hugh Macintosh sadly passed away and ownership was transferred to brother-in-law Degraves, once his prison sentence was finished. During the 1950 Victoria gold rush, the brewery really started to blossom. The thirsty miners would purchase large amounts of the amber liquid gold after a long day of searching for the real thing. Boag's Brewery, also known as J. Boag & Son was established in 1888 by James Boag and his son James Boag Jr., in Launceston, Tasmania. James Boag and his wife, alongside their 4 children, arrived from Scotland in 1853. 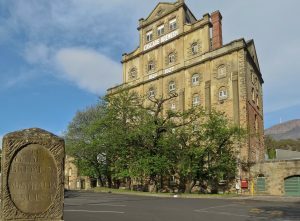 At the start of the brewery’s distribution, they could only produce seven hogsheads ( a whole cask barrel) of beer weekly. In modern day volume, this is an extremely small amount. 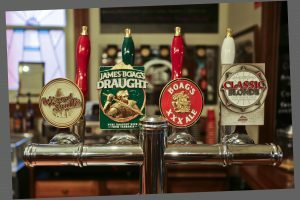 The business was passed from James Boag I to James Boag II, and eventually in 1919, to James Boag III, making it a fine example of a family-run business. Image thanks to Tourism Australia & Graham Freeman. In 2000, the business was purchased by the San Miguel corporation--a very big fish in the beer industry - who purchased the company for $92 million, and had big plans to double production every 3 years. They achieved this target until they sold the company to Lion Nathan Ltd. in 2007 for $325 million. This large brewing company now produces 10 different types of beer, ranging from premium light lager to Boag's St. George, a Californian-style lager, all the way to Boag’s Wizard Smith Ale, an English pale ale. 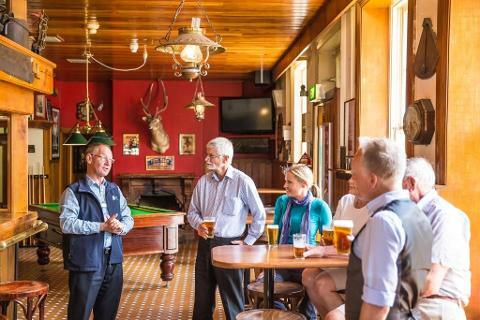 The company even has The Lame Dog Hotel in their ranks, which is known by locals as ‘Boag’s Centre for Beer Lovers’ and has been running for 26 years in Launceston. 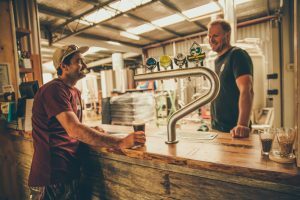 Craft and microbreweries have been popping up all over Tasmania for many years now, and seem to be checking all the boxes for even the most complex tastes. Little Rivers Brewing Co. is marketed as a boutique-style craft brewery in the north-eastern town of Scottsdale. Chris Carins is the man behind the operation and got started when he moved back to Tasmania in 2012 after working in Burleigh Brewing in Queensland for 7 years learning the art of winemaking. The first batch went on sale in February 2014, and was greeted with immense praise for its diversity and robust flavour. Image thanks to Flow Mountain Bike. 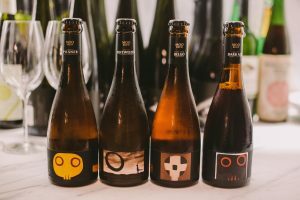 The Moo Brewery was established in 2005, and is situated in Mora which was known as Moorilla Estate at the time. 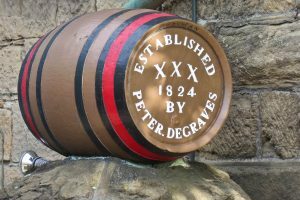 The first barrel was sold in June 2005, and production hasn’t stopped since. They craft 5 main beers, a Pilsner, a German-style Hefeweizen, a Belgian Pale Ale, an American Pale Ale and an American Dark Ale. Smaller batches of specialty beers are also released throughout the year to keep their ever-thirsty customers satisfied. 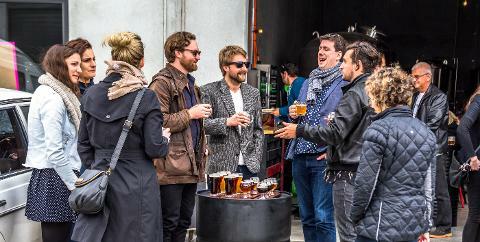 There are numerous ways to sample craft beers and ales throughout Tasmania. With over 20 microbreweries, beerlovers are spoiled for choice. Get to know the makers behind each beer and don’t stop! 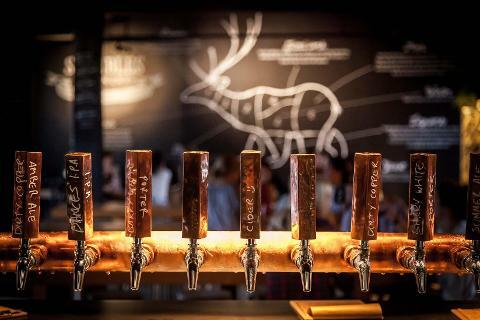 In a 1 day tour, you can explore as many as 4 to 5 local breweries, sampling beers from each one as you go (may we suggest some water in between samples!?). There is also a wide array of local pubs and bars where you can sample up to 10 craft beers and ales on tap. Ask most locals in specific areas and they will be sure to point you in the direction of their local watering hole to wet your whistle. Image thanks to Tourism Tasmania & Chris Crerar. In addition to tours and pubs, there is a large variety of different craft beer shops and cellars. Find these clustered across Hobart, with a smaller but still decent selection of these shops in the north around Launceston and Devonport.